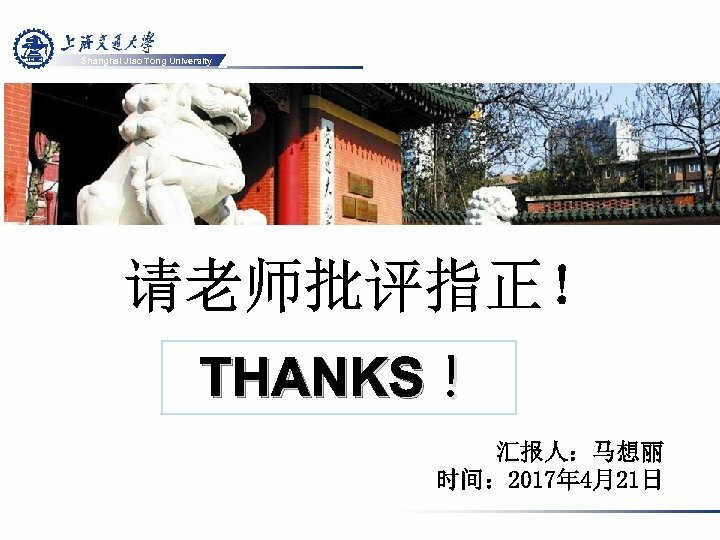 Shanghai Jiao Tong University 参考文献  Wu Y，Lee H，Norton S，et al. 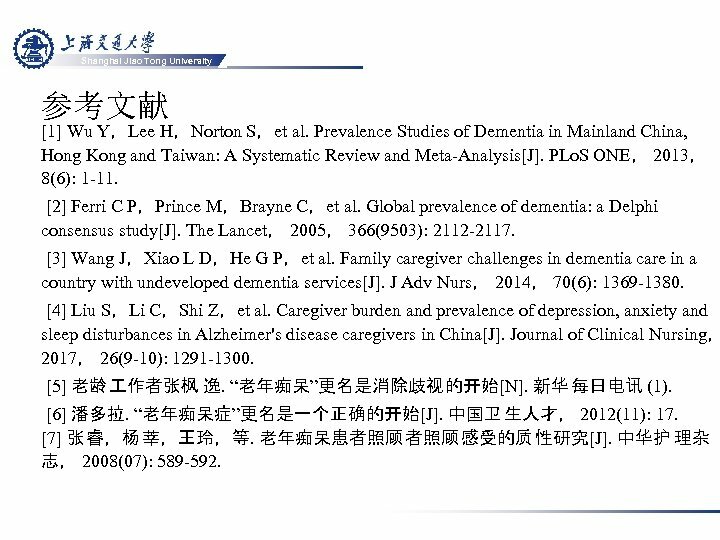 Prevalence Studies of Dementia in Mainland China, Hong Kong and Taiwan: A Systematic Review and Meta-Analysis[J]. PLo. S ONE， 2013， 8(6): 1 -11. Ferri C P，Prince M，Brayne C，et al. Global prevalence of dementia: a Delphi consensus study[J]. The Lancet， 2005， 366(9503): 2112 -2117. Wang J，Xiao L D，He G P，et al. Family caregiver challenges in dementia care in a country with undeveloped dementia services[J]. J Adv Nurs， 2014， 70(6): 1369 -1380. 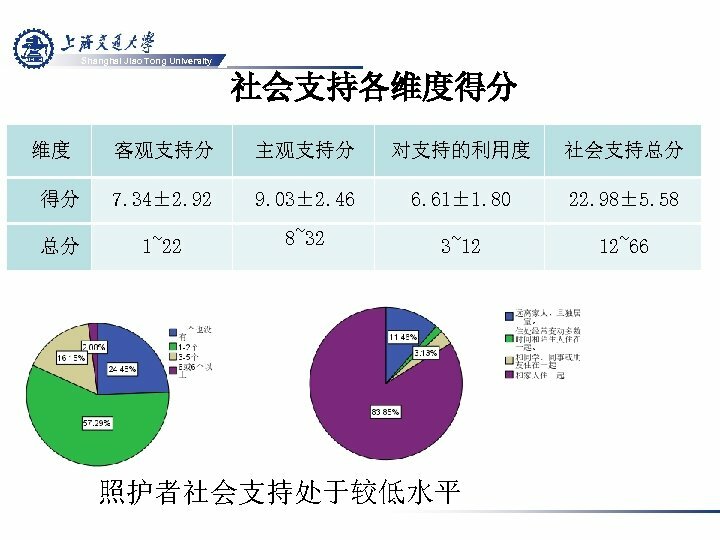 Liu S，Li C，Shi Z，et al. 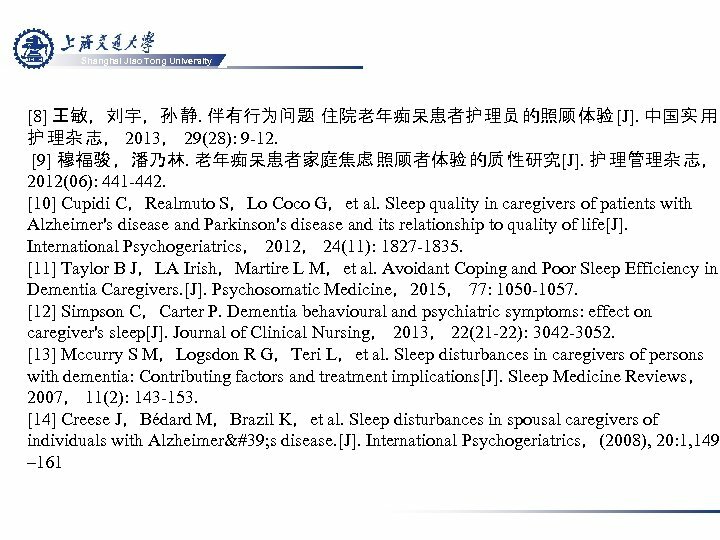 Caregiver burden and prevalence of depression, anxiety and sleep disturbances in Alzheimer's disease caregivers in China[J]. Journal of Clinical Nursing， 2017， 26(9 -10): 1291 -1300. 老龄 作者张枫 逸. 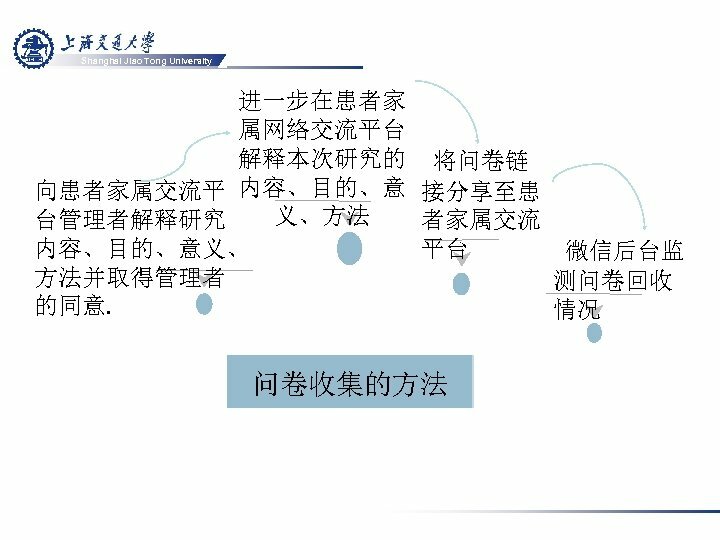 “老年痴呆”更名是消除歧视 的开始[N]. 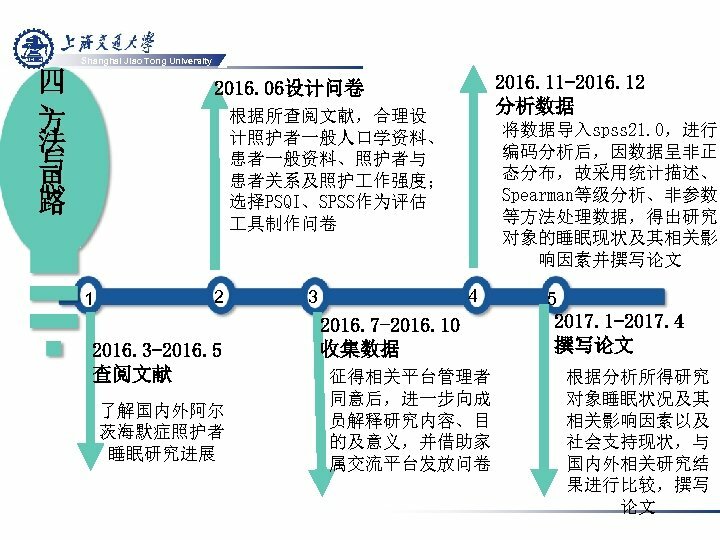 新华 每日电讯 (1). 潘多拉. 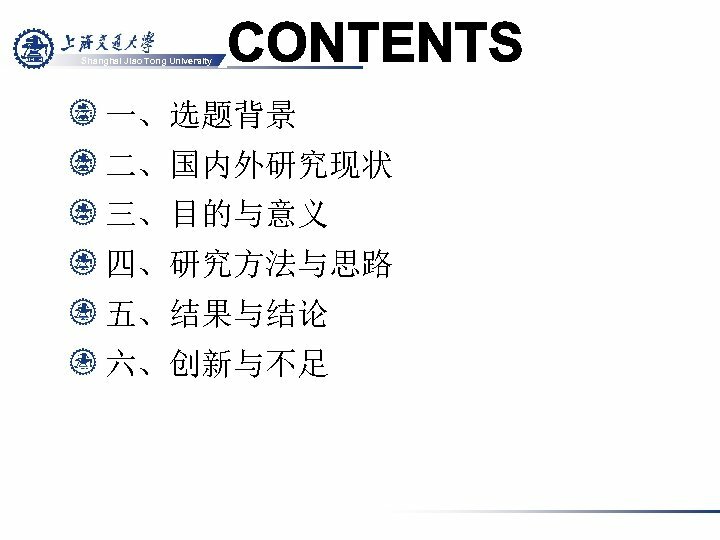 “老年痴呆症”更名是一个正确的开始[J]. 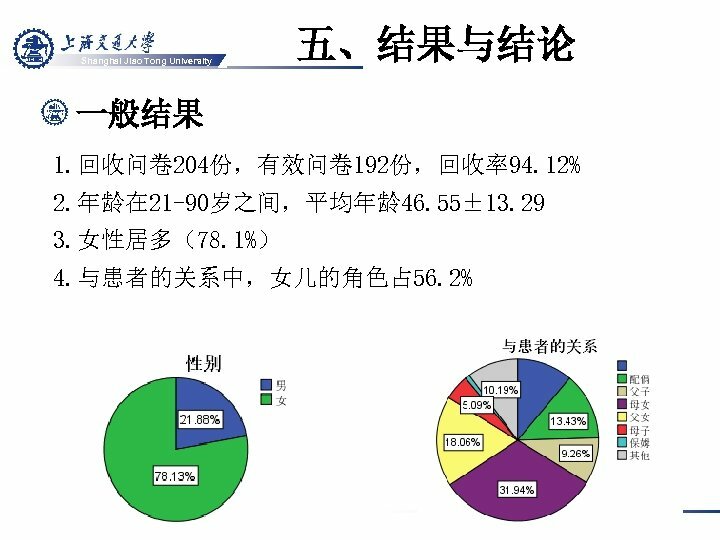 中国卫 生人才， 2012(11): 17. 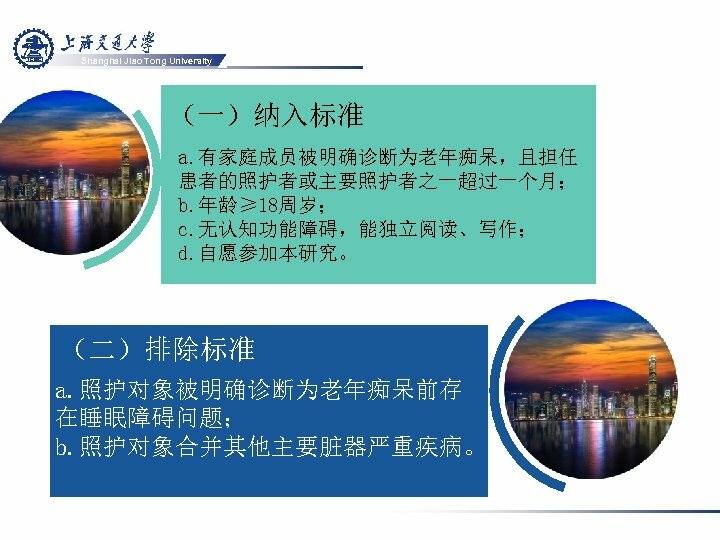 张 睿，杨 莘，王玲，等. 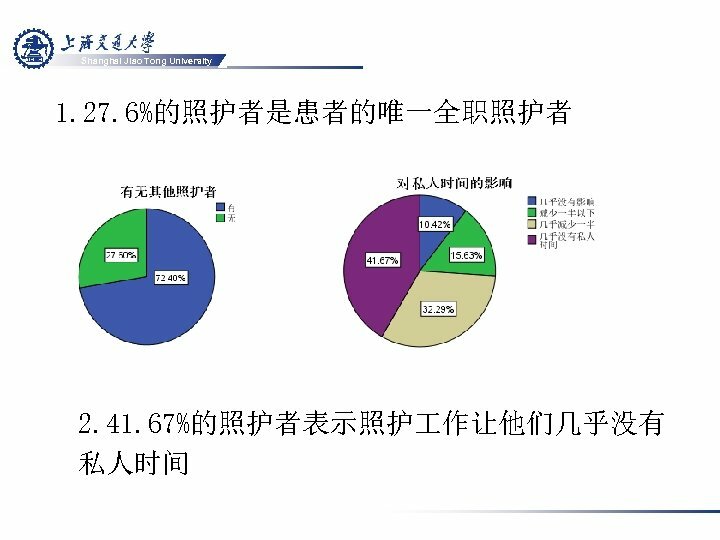 老年痴呆患者照顾 感受的质 性研究[J]. 中华护 理杂 志， 2008(07): 589 -592. 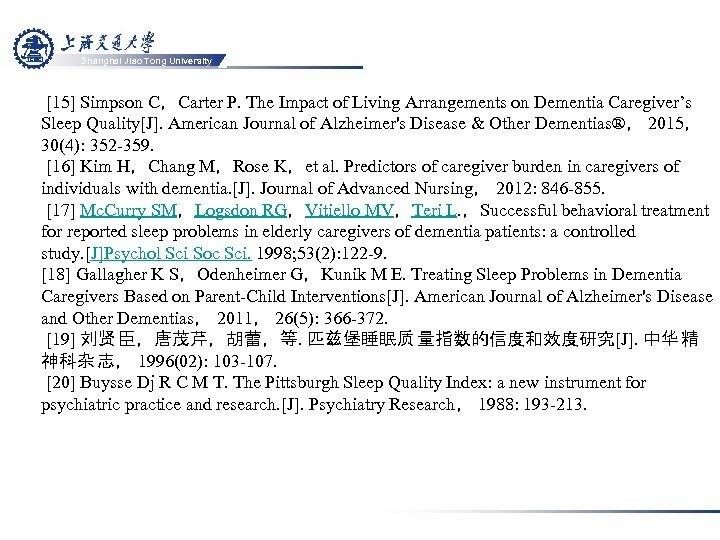 Shanghai Jiao Tong University  Simpson C，Carter P. The Impact of Living Arrangements on Dementia Caregiver’s Sleep Quality[J]. American Journal of Alzheimer's Disease & Other Dementias®， 2015， 30(4): 352 -359. Kim H，Chang M，Rose K，et al. Predictors of caregiver burden in caregivers of individuals with dementia. [J]. Journal of Advanced Nursing， 2012: 846 -855. Mc. Curry SM，Logsdon RG，Vitiello MV，Teri L. ，Successful behavioral treatment for reported sleep problems in elderly caregivers of dementia patients: a controlled study. [J]Psychol Sci Soc Sci. 1998; 53(2): 122 -9. Gallagher K S，Odenheimer G，Kunik M E. Treating Sleep Problems in Dementia Caregivers Based on Parent-Child Interventions[J]. 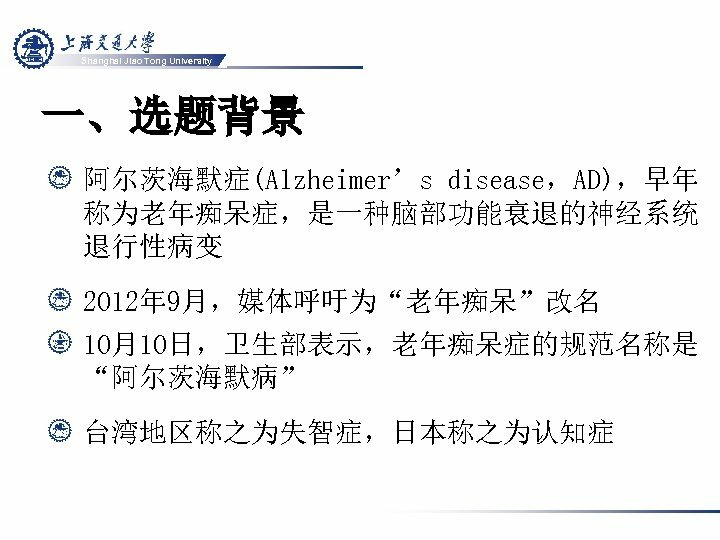 American Journal of Alzheimer's Disease and Other Dementias， 2011， 26(5): 366 -372. 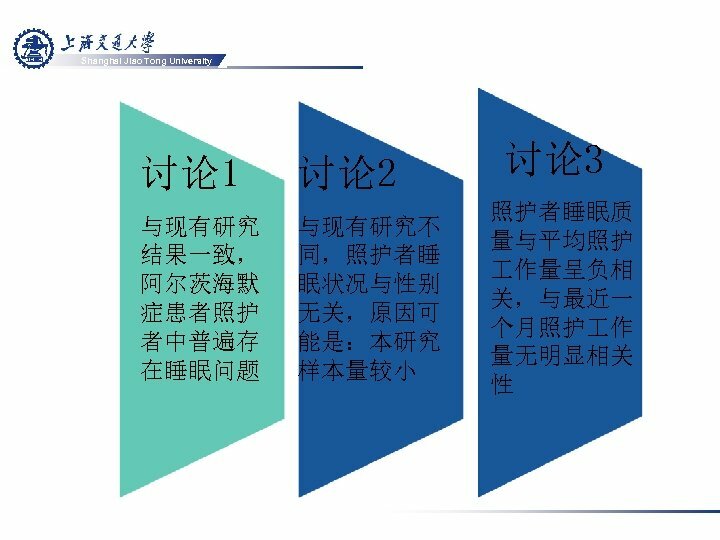 刘贤 臣，唐茂芹，胡蕾，等. 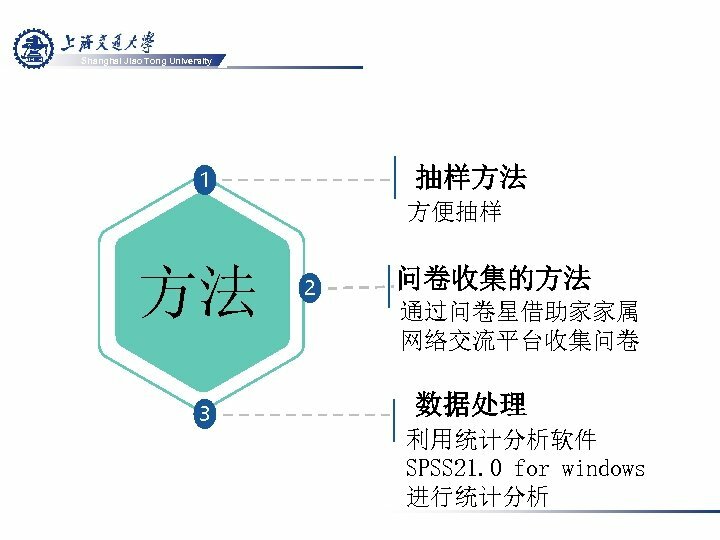 匹兹堡睡眠质 量指数的信度和效度研究[J]. 中华 精 神科杂 志， 1996(02): 103 -107. Buysse Dj R C M T. The Pittsburgh Sleep Quality Index: a new instrument for psychiatric practice and research. [J]. Psychiatry Research， 1988: 193 -213. Shanghai Jiao Tong University  孙刚. 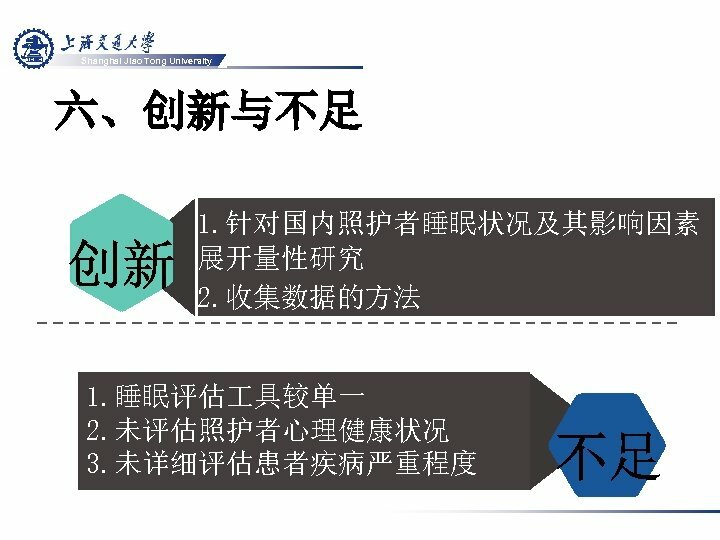 老年痴呆症更名[N] 解放日报 , 2012. 10. 12  杨 萍萍，沈军. 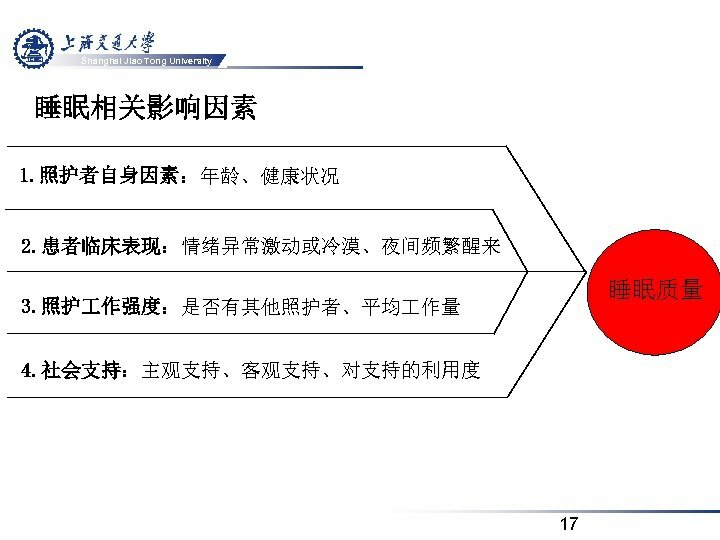 老年痴呆照顾 者虐待倾 向原因的质 性分析[J]. 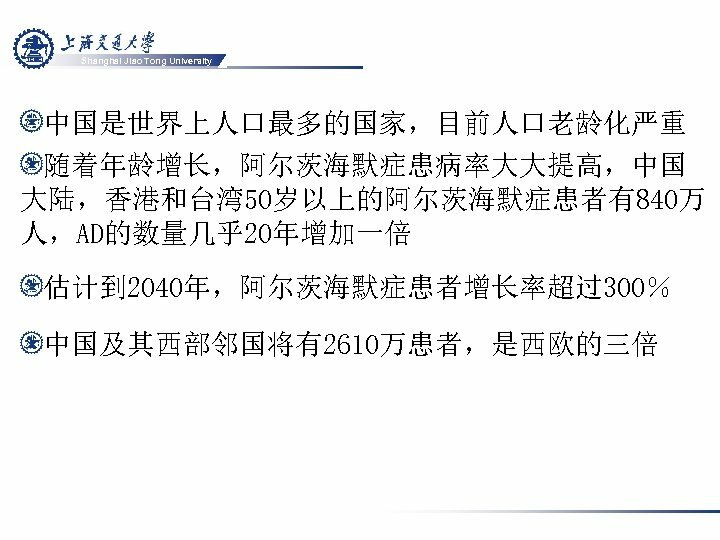 中国实 用护 理杂 志， 2013， 29(1): 27 -30. 肖水源. 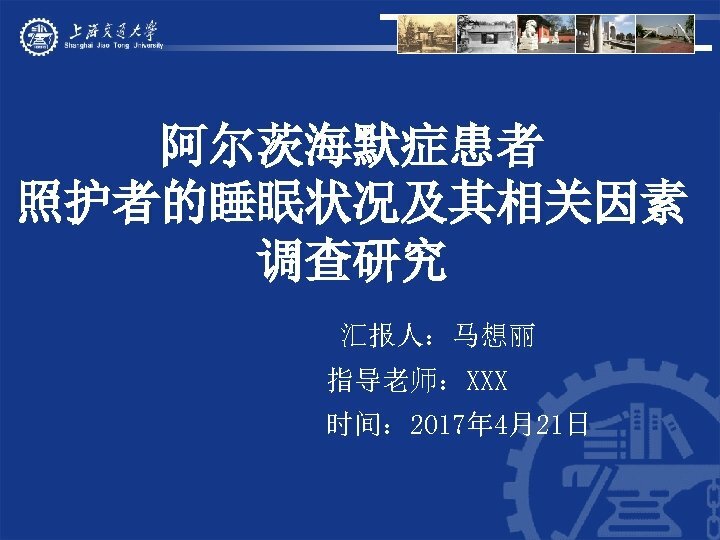 《社会支持评 定量表》的理论 基础 与研究应 用[J]. 临 床精神医学杂 志， 1994(02): 98 -100. Lee D，Heo S H，Yoon S，et al. Sleep Disturbances and Predictive Factors in Caregivers of Patients with Mild Cognitive Impairment and Dementia[J]. Journal of Clinical Neurology， 2014， 10(4): 304.  von Känel R，Mausbach B T，Ancoli-Israel S，et al. Positive Affect and Sleep in Spousal Alzheimer Caregivers: A Longitudinal Study[J]. 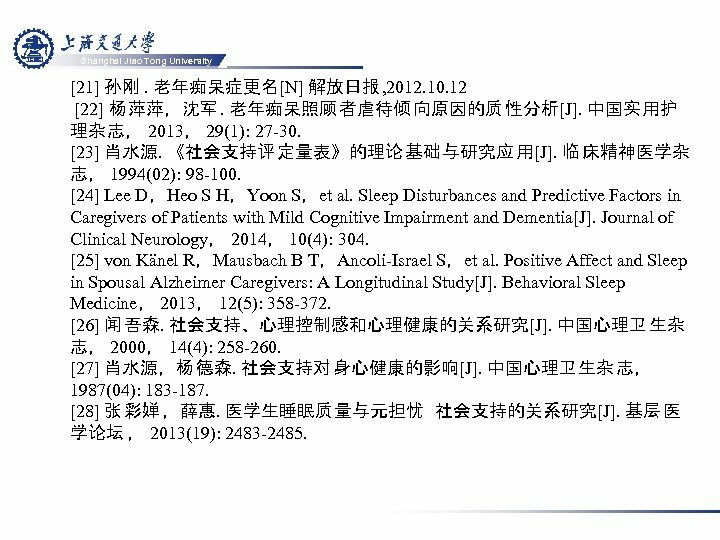 Behavioral Sleep Medicine， 2013， 12(5): 358 -372. 闻 吾森. 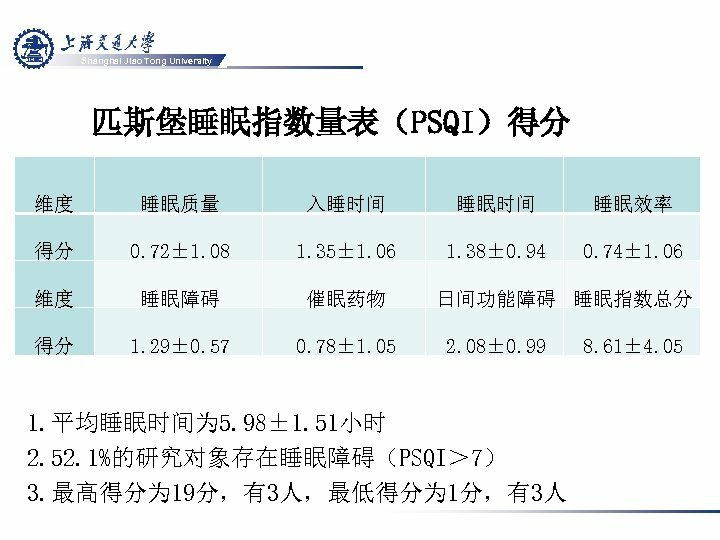 社会支持、心理控制感和心理健康的关系研究[J]. 中国心理卫 生杂 志， 2000， 14(4): 258 -260. 肖水源，杨 德森. 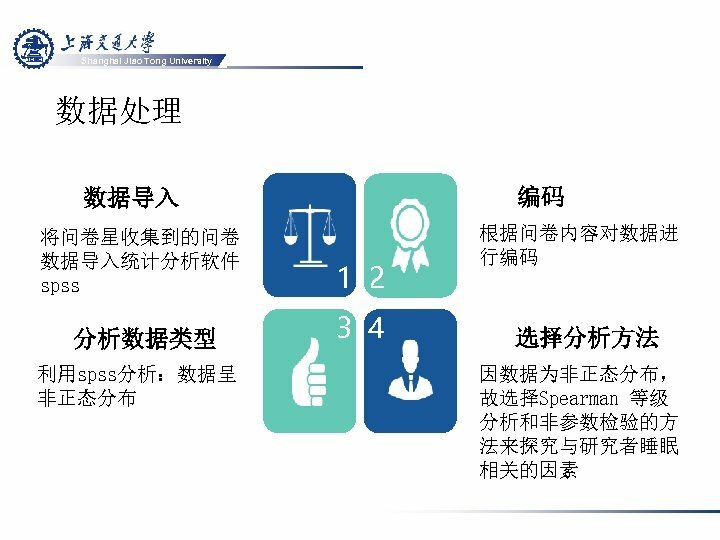 社会支持对 身心健康的影响[J]. 中国心理卫 生杂 志， 1987(04): 183 -187. 张 彩婵 ，薛惠. 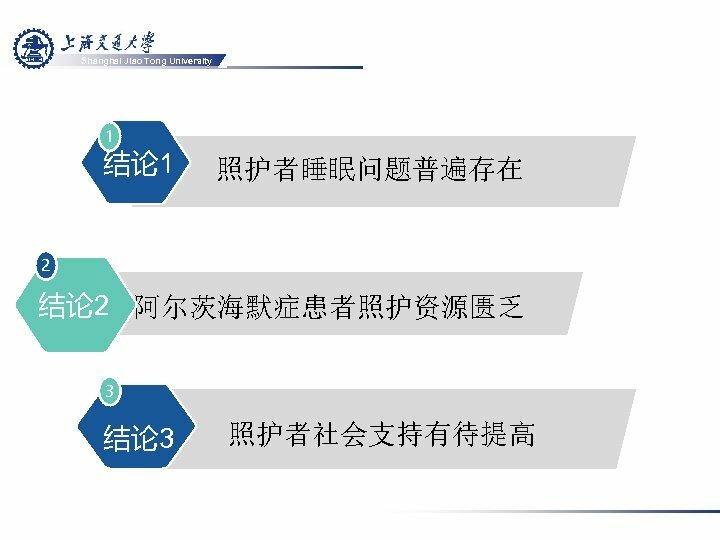 医学生睡眠质 量与元担忧 社会支持的关系研究[J]. 基层 医 学论坛 ， 2013(19): 2483 -2485. Shanghai Jiao Tong University  秦冰，师 瑞红 ，杨树 利，等. 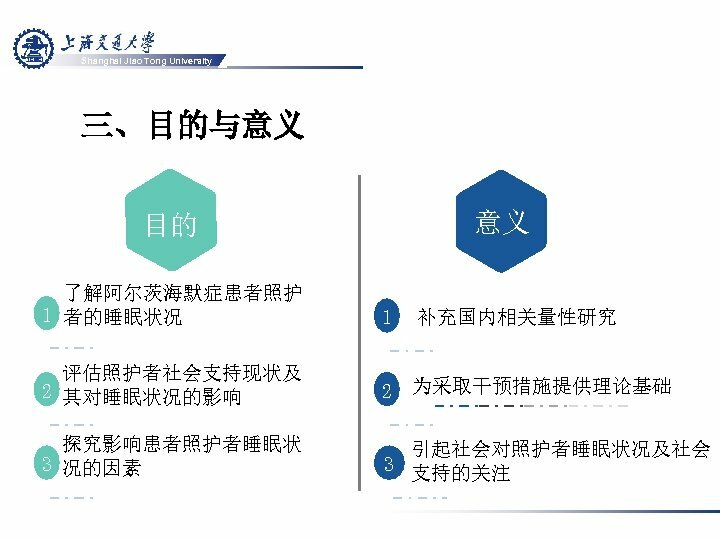 社会支持对 住院胃癌患者睡眠质 量的影响[J]. 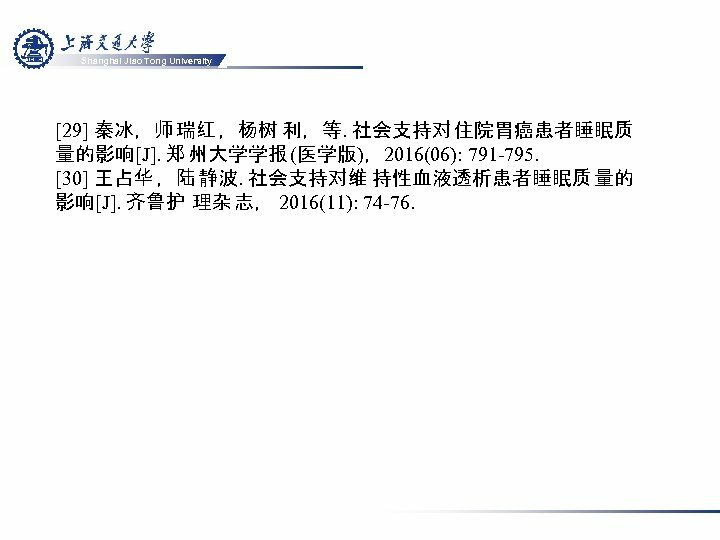 郑 州大学学报 (医学版)，2016(06): 791 -795. 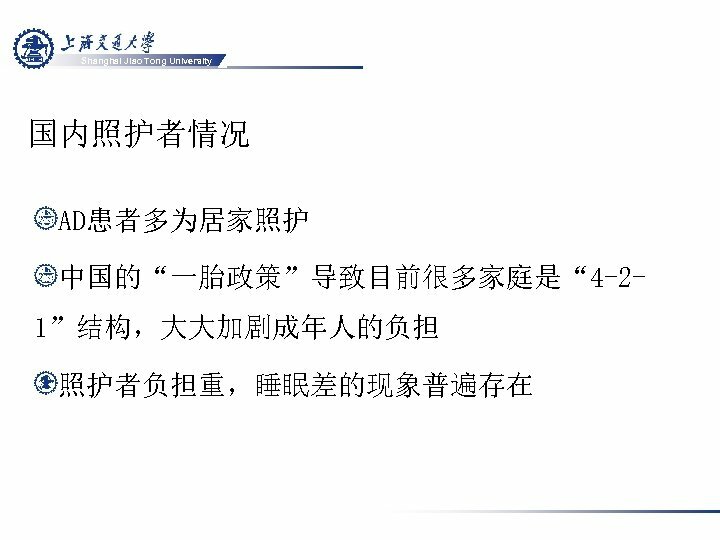 王占华 ，陆 静波. 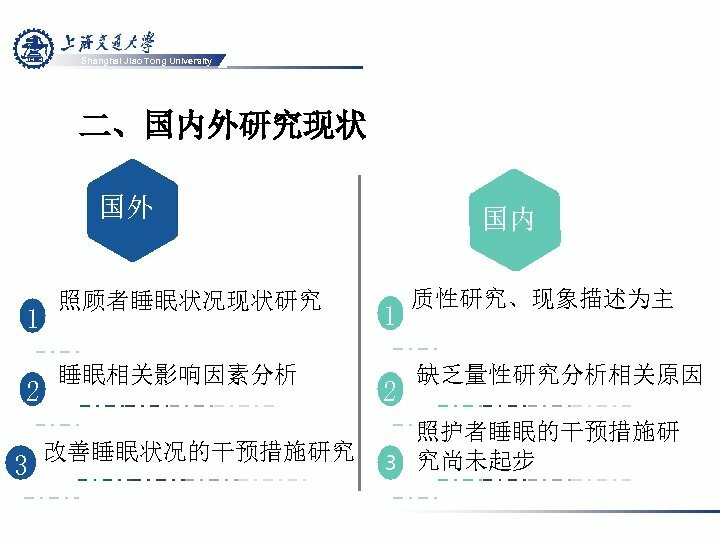 社会支持对维 持性血液透析患者睡眠质 量的 影响[J]. 齐鲁护 理杂 志， 2016(11): 74 -76.